- An enthusiastic and engaged sales person who is willing to join our Sales (French or English/German speaking) team in Hanoi, Vietnam. She or he is a Vietnamese native, speaks French or English or German, looking to work with international clients, in a great and friendly multi-cultural company and wishing to share her/his passion for their country & traveling. The following characteristics are beneficial but not required, the most important is that you are able to adapt to our company philosophy and that you are willing to actively participate in the missions you will be in charge of. - Having at least 2 year working experience at a similar position in inbound tourism sector is a must. If the candidates do not have enough working experience but the candidates are potential and excellent in language, company will select the interesting CVs and call for the interview. EASIA TRAVEL CO., LTD is a Vietnamese Destination Management Company (DMC) with 14 offices in Vietnam, Cambodia, Laos, Myanmar and Thailand. We cater to exclusive travel professionals (Tour operators, Travel agencies, MICE agencies) on a B2B basis and supply our partners from Europe and the USA with incoming tourism services. Specialized in creating tailor made travel experiences, we are one of the leading travel agencies within the region, and chosen DMC of some of the biggest and most renowned tour operators within the business. The company is continually growing and always seeking qualified and motivated people to join our dynamic and creative team. By joining the Easia Travel team, you will be a part of a rapidly expanding company, which can offer career growth prospects. Moreover, you will have golden opportunities to work in a multi-cultural and multi-national company, comprehensive training and chances for traveling both domestically and internationally. 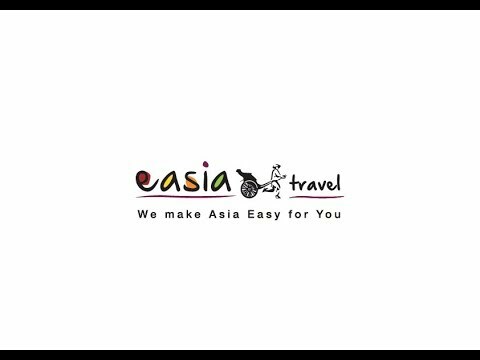 Why work with Easia Travel? We are Easy-going colleagues. The friendly attitude among our staff is something we’ve been proud of and cherishing since day one. We are Supportive of your contribution. And we acknowledge it in many ways: employee care program with personal health insurance, company trip, team building motivation trip, year-end incentive and at least one performance evaluation per year. We are International. We have Vietnamese, Thai, Burmese, Cambodian, Laotian, French, German, Spanish, Italian and still counting. Whew! We are Ambitious for new heights. Now with more than 330 employees across 22 offices, we are aiming for a bigger, better company, which means there are more and more opportunities coming your way!